Happy Friday friends! This week flew by and I feel like I didn’t get to much of my to-do list. These kind of weeks happen sometimes! Today, as usual, I am linking up with Erika, Narci and Andrea. for Friday Favorites! I’ll recap our week, share a few new fun finds and favorites! This week my focus was on finishing up my post for the Cozy Holiday Home Tour. If you didn’t catch the tour, I invite you to hop over and read yesterday’s post. I teamed up with five other bloggers to share our holiday homes! We also shared some encouraging tips and tricks on holiday decorating too! 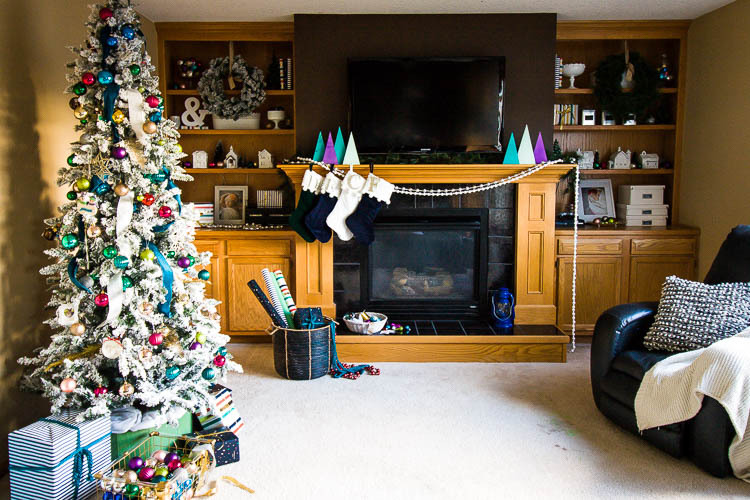 My goal with Christmas decorating is to have our house feel festive and cozy but not overly cluttered. It is definitely a balance between wanting to buy ALL the Christmas decor and wanting a home that doesn’t feel cluttered and busy! Brittany at Dreams + Coffee shared so many ideas for DIYing your Christmas decor. Her wreath she made has me so inspired to make one of my own! I loved Keri Lynn Synder’s tips on bringing elements from the outside into your Christmas decor. Her mantle is so pretty and peaceful. Emily at Small Things Counts has the most colorful and festive holiday decor. She has a great idea for displaying cards which I just might “steal” for myself this year! Brittany from Our Homemade Easy has a very pretty dining room! She also incorporates elements from the outdoors into her decor. I love her flocked tree too! Last but not least, Mauri from The American Patriette has a ton of DIY Christmas decor ideas. I love what she did with her coffee bar. Too cute! I’ll be back with these same ladies on December 13th for a Holiday Lights Tour. Another favorite of the week was getting to enjoy some hot chocolate. I rarely indulge in this treat when the kids drink it. Which, by the way, has been a daily thing around here. But I ended up testing a few recipes and I did not realize what I was missing. Do you make hot cocoa from scratch? It is so easy and I find so much tastier! Stir all ingredients on the stove until well mixed and heated through. Add some (or all!) of your favorite toppings including marshmallows, sprinkles, whipped cream and candy canes. What kind of steals and deals did you score last weekend? The deals at Gap and Old Navy were so good. I ordered these cozy striped pajama pants at for Gap for 60% off last weekend. I am loving all of the rainbow stripes at Gap right now. I remember having a rainbow striped sweater (probably from Gap) in high school and it was one of my favorites. These sweater leggings are going to be so warm! I paired them with a pink colored henley. Cute and cozy pajamas get me every time! Can you believe just 24 sleeps until Christmas? I hope all of your holiday preparations are going well!! Have a wonderful weekend. Love those pj’s- pink is my favorite color! Have a wonderful weekend Jaclyn! Thanks! I can’t wait until the PJS arrive! Yay, loved seeing your fabulous Christmas touches. Great trees! Gimmie that hot cocoa and those cute PJ’s to curl up in! Happy Friday! Your post gave me all the cozy feels. Makes me want to snuggle up with a cute Christmas movie & drink hot cocoa! Sounds like a good plan. We still have some Christmas movies to watch! Ooh I like those pj pants! I love the picture with the bokeh lights coming out of the coffee cup. I tried to take one like that earlier this year! Thanks Dara! It was a fun picture to take! Oh I love this roundup and cannot wait to go check out the other posts. I love the red kitchen and the layered towels on the oven. What a great deal on GAP pajamas! I loved that layered towel look too! It is nice that you can make simple changes that do not require a lot of extra decor! I’ve never heard of a cocoa motion machine but it sure sounds fun!